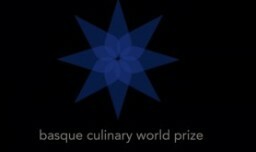 A new international culinary competition designed to recognise one chef who has made an exceptional contribution to “improving society through gastronomy” has been launched in the form of the Basque World Culinary Prize. Created by the Basque Culinary Center (one of the most prestigious gastronomic universities in the world), the Prize has been designed to acknowledge and celebrate a generation of international chefs that have made outstanding contributions to society. These contributions will have redefined the gastronomic profession through the integration of new skills, creativity, innovation and social concerns to their culinary approach. The Prize will be held annually with applications open to chefs of any nationality that have demonstrated how gastronomy can be used as a powerful vehicle for change. The Prize itself will be judged by a panel of some of the world’s most influential chefs including: Gastón Acurio (Peru), Ferran Adrià (Spain), Alex Atala (Brazil), Dan Barber (US), Heston Blumenthal (UK), Massimo Bottura (Italy), Michel Bras (France), Yukio Hattori (Japan), Enrique Olvera (Mexico), René Redzepi (Denmark) and chaired by Joan Roca (Spain).